Runtime: 2 hr. 31 min. 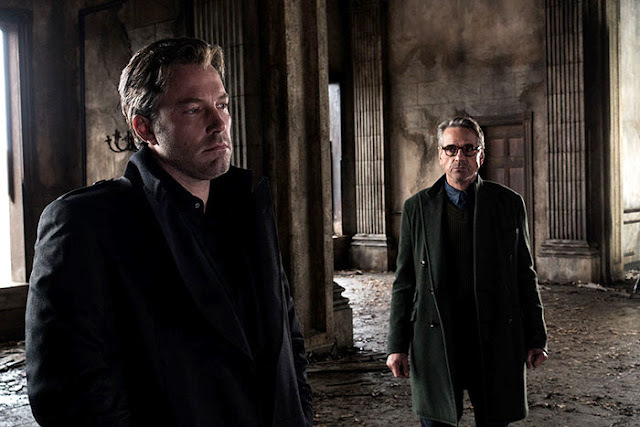 BATMAN V SUPERMAN: DAWN OF JUSTICE OPENS ON THE 25th OF MARCH IN THE US AND ON THE 24th IN MALAYSIA. TO FIND OUT WHEN IT OPENS NEAR YOU CLICK HERE. So a few hours ago I watched Batman v Superman: Dawn of Justice, the sort of follow-up to Zack Snyder's 2013 Man of Steel. Produced by the same team that produced Man of Steel which includes Christopher Nolan the man who successfully rebooted and updated the Batman franchise and made it dificult for anyone else to do another Batman movie without having it compared to his. So it's probably safe to assume that Snyder has Nolan's blessings in a way or that Nolan likes what Snyder has in mind for not only Batman but Superman and the DC Universe. So Zack Snyder, the director of such films as 300 (2006), Watchmen (2009) and Sucker Punch (2011) movies that aren't like any other. Watchmen was about superheroes who didn't have superpowers going through the motions of retirement until they discover that they are being targeted. It's two hours and 42 minutes long. 300 was based off a Frank Miller and Lynn Varley comic book series of the same name, Zack Snyder made a movie that was visually unlike any other at the time but has since influenced every other action movie and comic book based movie ever since. Sucker Punch was about a young woman who is placed in a mental institution who then begins to have delusions and hallucinations as she begins to make her escape from the institution. It was an unusual film in many ways and was sort of hard to like at times. So it is safe to say that Zack Snyder is not a conventional director or one who does the usual films. Which to me is or was surprising to see that a lot of people were expecting Snyder to do a conventional take on Superman. I like Man of Steel. It was raw, gritty and wasn't completely about nostalgia or romance for the character nor was it placed in a Marvel like universe where only the superheroes are 'hurt' by the battles they have. The reality of Man of Steel was very much the reality of Watchmen. There is no romantic notion of the Superhero being perfect and flawless or being completely noble and decisive. Nothing is black and white or easy. Superman is very much human. 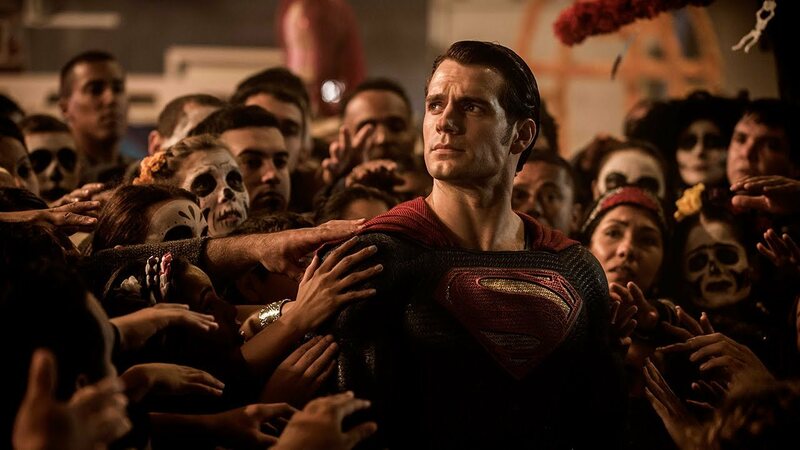 Man of Steel did not sit well with Superman fans and purists and critics weren't over the moon about it either. And then there's wunderkind and Silicon Valley type with unresolved daddy issues Lex Luthor. 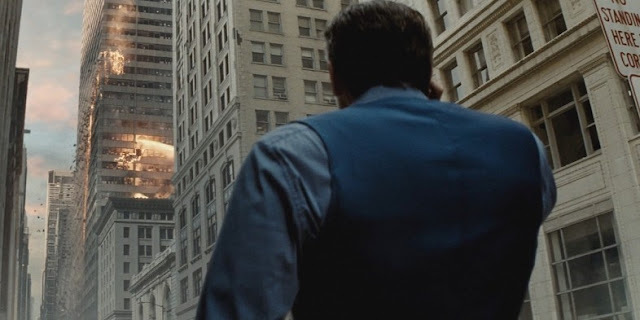 So Batman v Superman: Dawn of Justice where the events of Man of Steel happened 18 months ago and Bruce Wayne (Ben Affleck) after fighting as Batman in Gotham for 20 years discovers that an alien being who can destroy an entire city at will has turned Metropolis into a battlefield. On the other end is Lois Lane (Amy Adams) who while researching for a story about an African Warlord discovers that he's been financed by someone back in the US. Also she's Superman/Clark Kent's (Henry Cavill) girlfriend. 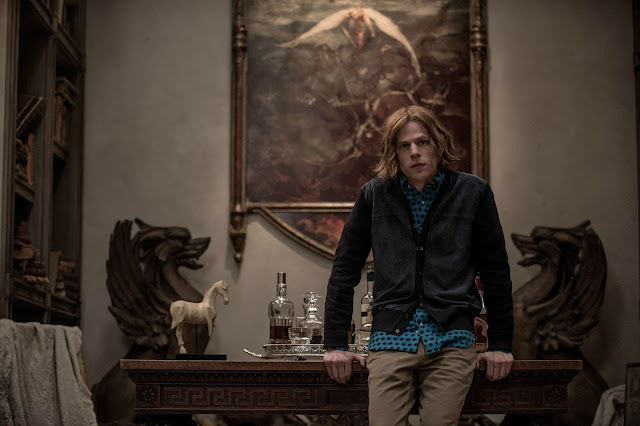 And then there's Lex Luthor (Jesse Eisenberg) a young genius who inherits his father's vast fortune and companies and who clearly has issues of abuse mentally and physically from his father who in his disappointment with god for not saving him from his abuse has transplanted his hate for said god onto Superman and has decided he has to make an example of this alien that many now see as god. 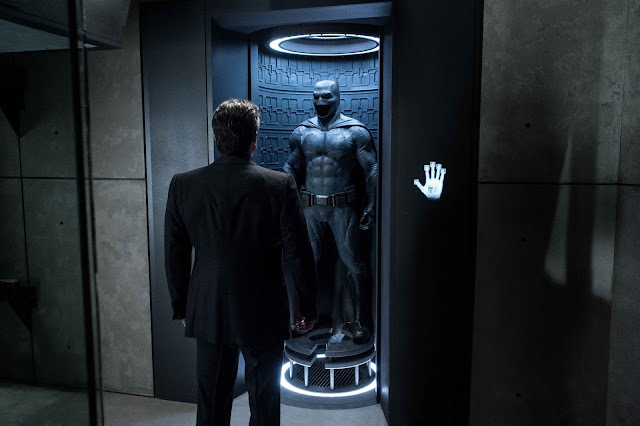 Let's begin first with the fact that yes in parts I do agree with the critics on many of their complaints especially with regards to the dream sequences and the need to repeat Batman's origin story. The dream sequences for the most part do not help the overall story and usually end up confusing the audience. And because it happens so frequently it interrupts the films narrative. Then there's the character development. You don't get to really sink your teeth into them and get driven by them. Scenes with each character happen in snippets it feels like before we move on to another thing or another dream sequence.Then of course is the fact that our Superheroes are far more violent than any other versions of them that's come before or appears to be. Superman kills General Zod at the end of Man of Steel and Batman in this film thinks nothing of smashing baddies with his car, shooting at them with a gattling gun or stabbing them with knives or branding them with a white hot bat logo. So all of that and more are what critics hate about this movie which to me is odd. What exactly did they expect from Zack Snyder? A similar treatment that every Marvel movie has had? The usual three act structure? The man made his name with unusual projects. He is sort of famous for not doing things the usual and conventional way. 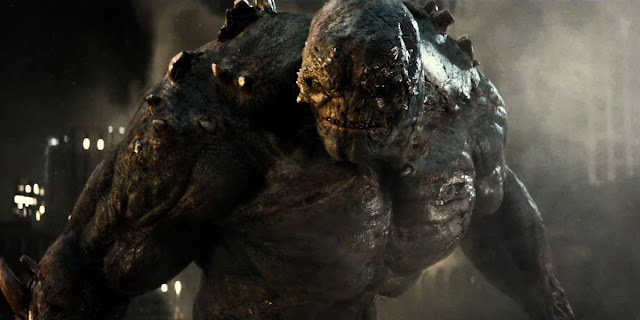 We all say it in all of his films including Man of Steel why on earth would anyone think that he was going to do a full turn and suddenly deliver something conventional? Then of course is the fact that a few months ago news broke out that Jena Malone who was supposed to be in the movie is no longer in it but her scenes will be included in the R-rated DVD/Digital release which will also include additional footage. 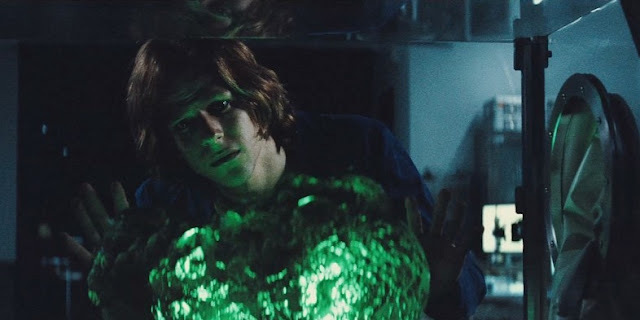 Also the fact that Snyder isn't making just this movie but has in store a whole series of movies which this movie has teased with Lex Luthor's obsession with what he calls Meta-Humans. We know that next year there will be a Wonder Woman movie and that it will lead to a Justice League movie which will feature the Meta-Humans that Lex Luthor has been observing, Snyder 'accidentally' leaked a picture where in the background can be seen what appears to be The Flash costume. We know that Jason Momoa is Aquaman. And in this movie we also learn of another Justice League member. As for the characters not having enough meat on them well let's just say the way to look at this movie is that Zack Snyder isn't going to spoon feed you everything. The motivations of each character, of why they do what they do, why Superman and Batman seems so violent and angry is there but you have to figure it out for yourself. 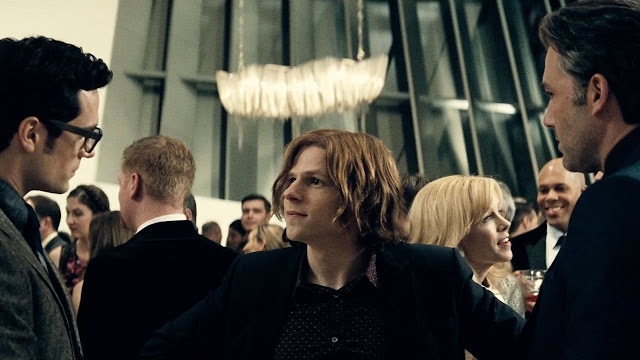 As mentioned Luthor's hate for Superman stems from his father's abuse. He is rationalizing and trying to come to terms with it by transplanting them onto Superman. 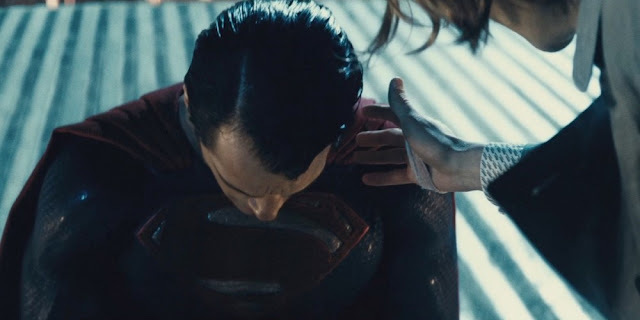 He feels god has failed him and since he can't destroy god he'll just destroy the next best thing, Superman. Superman whom a large portion of the world sees as a god or god-like. Batman on the other hand breaks his principle of not harming/killing anyone because ultimately he has reached his limits of dealing with criminals with kid gloves. 20 years of doing that and getting beaten up while doing it against enemies that don't pull the punches will do that to you. Superman on the other hand is in a dilemma, he has the ability and the strength to help but he can't be everywhere, then there's the deification of his image of people seeing him as holy, as an angel or even god and while all this is going there are others who want him to answer for the violence that he has committed during his battle with Zod. Imagine yourself a quite farm boy who grows up just like any other kid until you find out you're not like everyone else and when you try to do good with your abilities not everyone loves you and your abilities can do as much harm as it does good. The thing about Snyder's take on our beloved and iconic Superheroes is that they are ultimately human and flawed in spite of their remarkable powers, skills and intelligence. 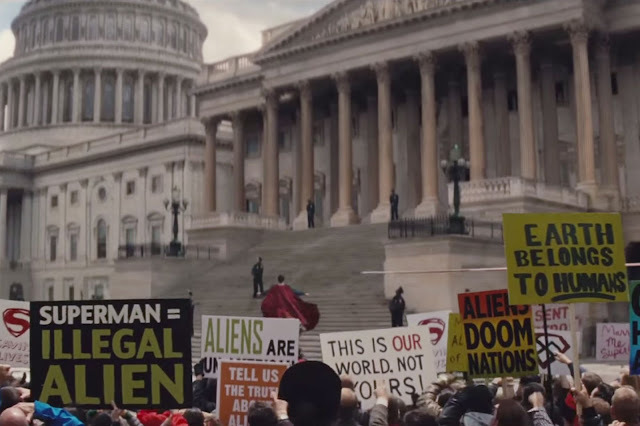 Snyder's Superheroes are more human and conflicted than any of the Marvel Superheroes. They are grim and dark because of what they do and who they deal with. Everything they've done has taken a toll on their personality and psyche. Just like us. Marvel's Superheroes seem to be able to shake it off after a while. Christopher Nolan explored this with his Batman but didn't let it get this far. As for the fact that the movie seems to have a terrible flow and narrative here's my way to look at it. The usual format for films of this genre is the much talked about three act narrative perfected by the folks over at Marvel/Disney. You can sort of do that here but not for one film. Think of the three acts (sort of) as whole movies, the first act is Man of Steel, this one is the second act, the dream sequences that Bruce Wayne has are glimpses into the next as is the discovery of the Meta-Humans. Of course I could be wrong. If the money doesn't roll in for this movie and for the upcoming Wonder Woman movie the whole thing might be revamped. And speaking of Wonder Woman the man who wrote the abysmal Pan (2015) is also writing for Wonder Woman and that does not inspire confidence in me. But the thing of it is is that as bad as this movie is I actually liked it. I enjoyed it. The performances by the leads were good. Ben Affleck was a pleasant surprise. Henry Cavill has gone from the pretty boy Superman, the country boy done good to a human being with problems. Amy Adams does a good job as does Gal Gadot who surprisingly impresses everyone with her minimal screen time. Loved the dry and more hands-on Alfred played by Jeremy Irons. But to be honest all of them have such short scenes that you don't really get to experience who these characters are that Snyder wants them to be which is one of the many criticisms against this movie. The visuals are good even if they're overdone or pointless or whatever other complaints the critics have against them. You watch a Micheal Bay movie, right? The critics love him don't they? The music is overly dramatic but why not? Should it be toned down? Why? 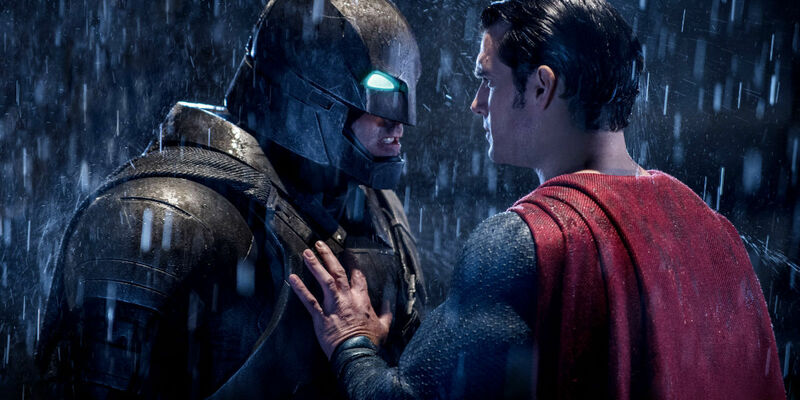 It's Batman v Superman. 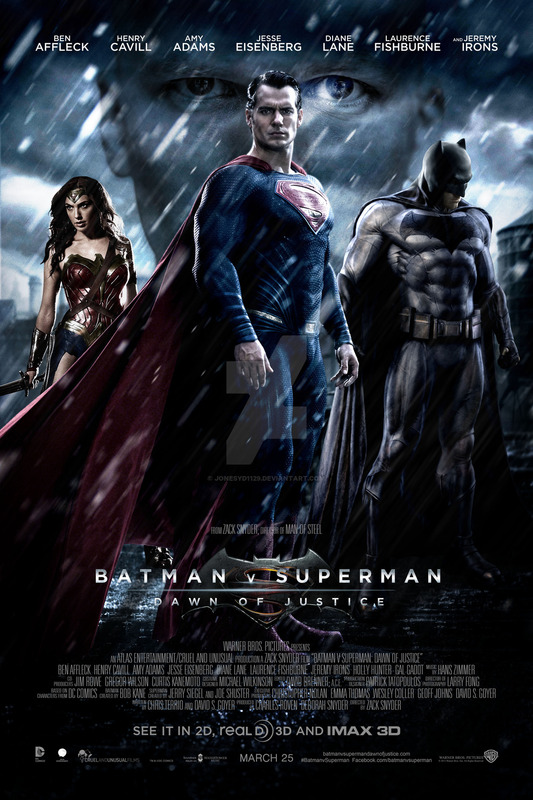 It's Batman, Superman, Wonder Woman fighting against the abomination Doomsday. In terms of comic book superheroes this is nothing short of epic. The best way to approach this movie is to understand who Zack Snyder is and his works. Do not go into this movie thinking it'll be anything like a Marvel/Disney movie or even a conventional superhero movie. Don't even go in thinking you'll see the DC Superheroes you know and love so well. This is Snyder's DC Universe. Go in with that frame of mind and you might just enjoy it. Think of it like music, there's the original and then there's the remix version. Not everyone likes the remix version. So there it is. My opinion. I did enjoy it somewhat and liked it somewhat. And I am hoping that what appears to be shortcomings in this film will be explained and expanded upon when they release the R-rated version with the cut scenes or who knows maybe a director's cut as well as the following movies featuring the other DC characters. So I'm giving this mess of a movie that I found entertaining a 3.7 out of 5. Don't just listen to the critics. Heck don't listen to me. Go and check it out for yourself. It's Batman beating up Superman. Who doesn't want to see that?